Bastion Quick Set sets in 15 minutes and is ideal for stabilising fence posts, letter boxes, clothes hoists and other non-structural applications. 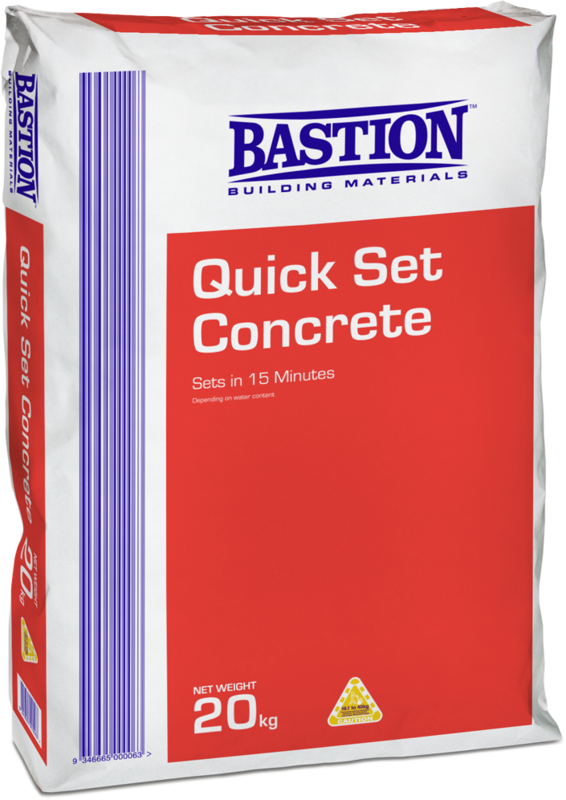 For structural applications use Bastion Concrete mix. It is a Drymix combination of aggregate sand and cement. Warning – do not use Quick Set Concrete with Aluminium posts. Do not mix the concrete in the hole.